After completing our 4 week project, Tori and I had a talk about where we would go with the next 6 weeks to advance this project. We decided to continue in the direction outlined in my last post- creating the first steps of a vertical slice from the story of Ruby Bridges- Tori focusing on organizing the animations and drama, and myself focused on creating a full build in Unity. Our four week prototype had a loose menu structure that I created to make it easier for us to test out different functions and for myself to understand how they work. These were purely technical exercises. In this prototype, will be creating a prototype that contains a full narrative. The user will begin the experience as Ruby, with minimal control of their surroundings. From there, the scene will restart and the user will gain the ability to navigate the environment. There will be interactable objects to collect and examine, containing background information from the time period and location. While we want to avoid creating a full-fledged game with this experience, I will be using game design elements to encourage exploration of the environment so students will actually find this information. We took into consideration the critique that we received from our initial prototype. Our objectives were reframed to focus on the story and less on the technology, and we will continue to focus on function and interaction instead of aesthetic appearance. These are questions we can begin examining after this project. Our research has already begun expanding to include psychology, learning theory, and empathy. Proposed work schedule for 6 Week Prototype. Above is the working schedule I've created for my part of the prototype. Tori's schedule lines up with mine so that we're both generally working at the same pace and form of development. I began working on some of the general layout for our project, considering the flow of the experience and what functions would be available in each. While this is still a broad layout, it's a sketch of the experience from the start screen all the way to the end of interaction. Tori and I will be meeting this week to finalize this plan and discuss details. I will also be starting the general layout of the experience, with a blocked in environment and basic navigation for the user. Image of notes on the layout of the experience. These readings covered a wide range of topics. Research on the effects of virtual immersion on younger children is nearly nonexistent, and that is mentioned several times throughout these papers. A few of them had to do with digital representations and how users behavior changes when their avatar reflects a different identity. Children develop self-recognition around the age of 3 or 4, and these connections grow with executive functions. It was also shown that children between the ages of 6-18 report higher levels of realness in virtual environments than adults. 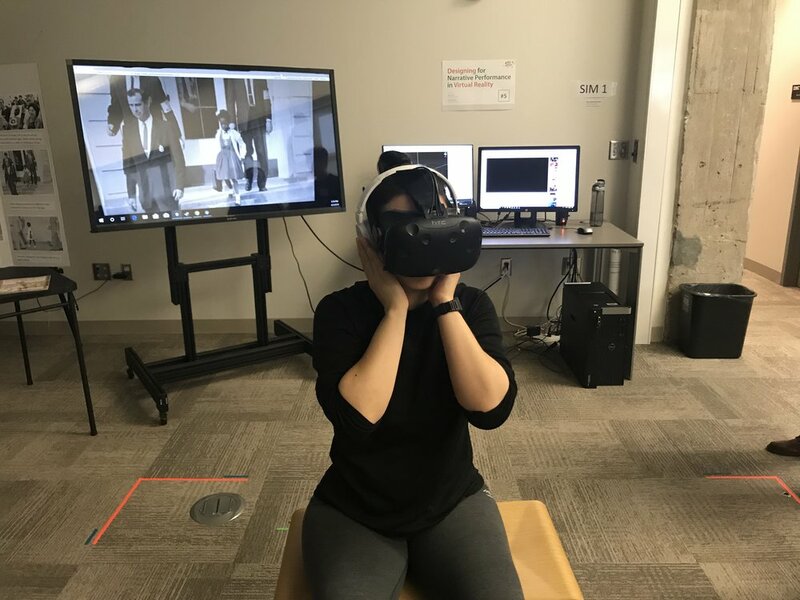 It's been shown that children have developed false memories from virtual reality experiences, thinking events in the virtual environment actually occurred. I was also introduced to the Proteus effect, which suggests that changing self-representations in VR would have an impact on how that person behaves in a virtual environment. By placing a student in Ruby's avatar, we also would change their judgements of Ruby to one that is situational, and create an increased overlap between the student and the character. When we're thinking about placing a student in Ruby Bridges' shoes and considering aspects such as the aesthetic appearance of the environment and the interaction between Ruby and the other characters, we have to remember that this experience may be much more intense for younger students who experience a higher level of environmental immersion than adults. 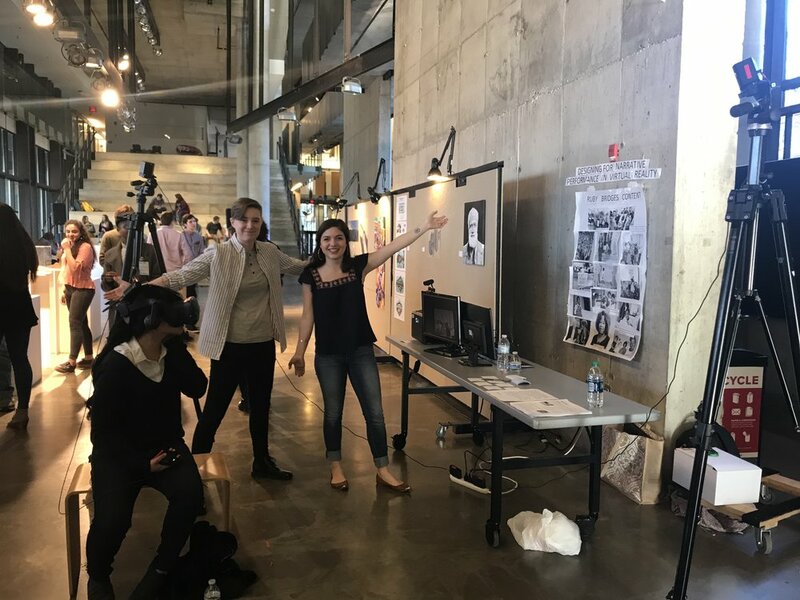 Over Spring Break I spent my time at the Creating Reality Hackathon in Los Angeles, CA, where I got to collaborate with some great people in the AR industry and work with the Microsoft Hololens for two days. Our group was working on a social AR tabletop game platform called ARena using Chess as a sample project. While we were not successful, it was a great lesson in AR development and approach. 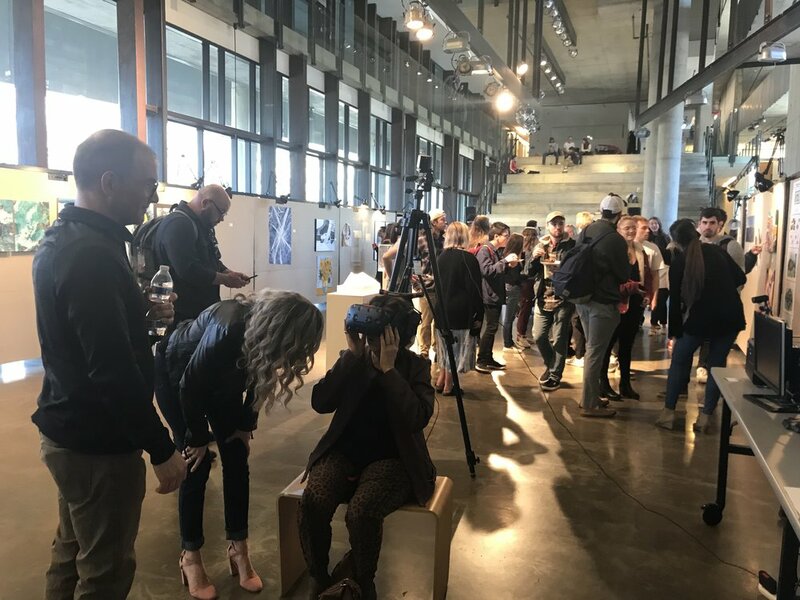 I also gained exposure to other headsets and devices from the workshops and sponsors- the Mira headset runs from a phone placed inside the headset. And there are a variety of Mixed Reality headsets that use the same Microsoft toolkit for the Hololens. Workshop showing the Mixed Reality Toolkit with the Hololens. While the Hackathon was a great technical and collaborative experience, it also opened up other possibilities for our current project in the long run. 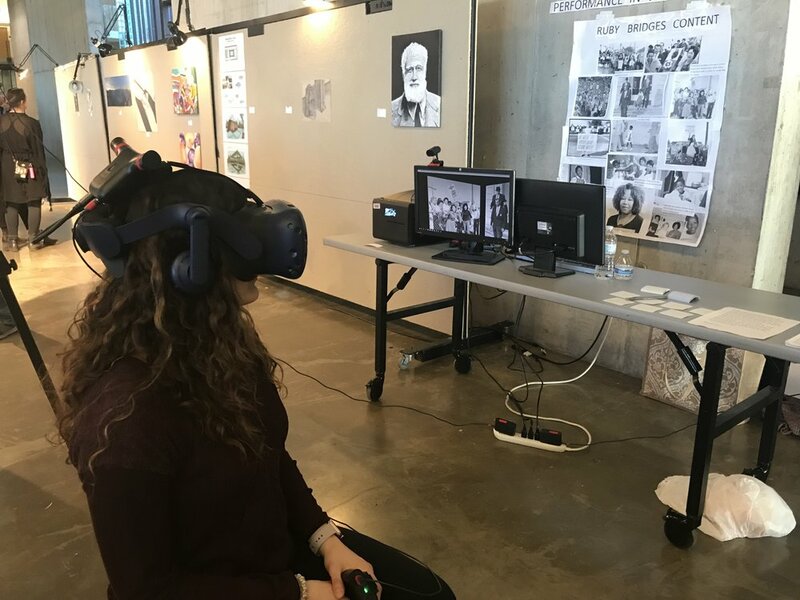 Part of our research is discovering what virtual reality itself brings to this learning experience beyond just being cool or fun to experience. We already know that this experience is not meant to replace the reading of the book or any in-class lecture- it provides another medium for students to experience and understand this story. After spending the week working and thinking with AR, I was thinking about how we can better bridge that gap between the physical experience in the classroom and the virtual experience. Using an AR to VR transition that interacts with the physical book would be an interesting concept to explore related to this. The technology doesn't quite seem to be there yet- there's no headset out there that has the ability to switch from AR to full immersive VR. But Vuforia seems to have this function available and could possibly be accomplished on a mobile device. There's even a demonstration recorded from the Vision Summit in 2016 showing this ability (at time 22:00), documentation on Vuforia's website about AR to VR in-game transitions, and a quick search on Youtube shows other proof-of-concept projects with this ability. This isn't a function that will really be able to be explored until much further down the line and potentially will not be possible until the right technology exists, but raises questions about how we can create that transition between the physical and virtual. 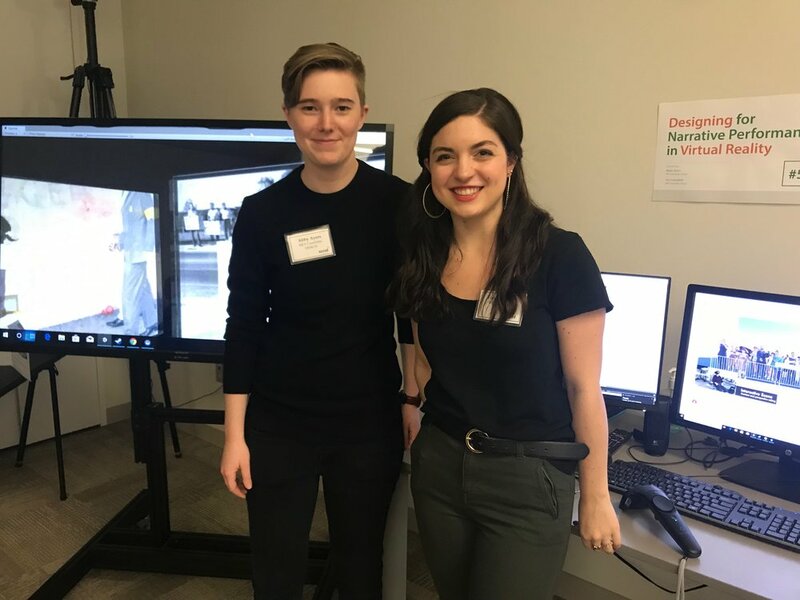 From some of the participants at this hackathon, I also learned about the Stanford Immersive Media Conference this May, which will feature talks by several of the authors of the papers we've been reading for research and others involved with the Stanford Virtual Human Interaction Lab. This is potentially a great way to interact with others who are doing work in the same areas of VR and AR, and discuss their research. 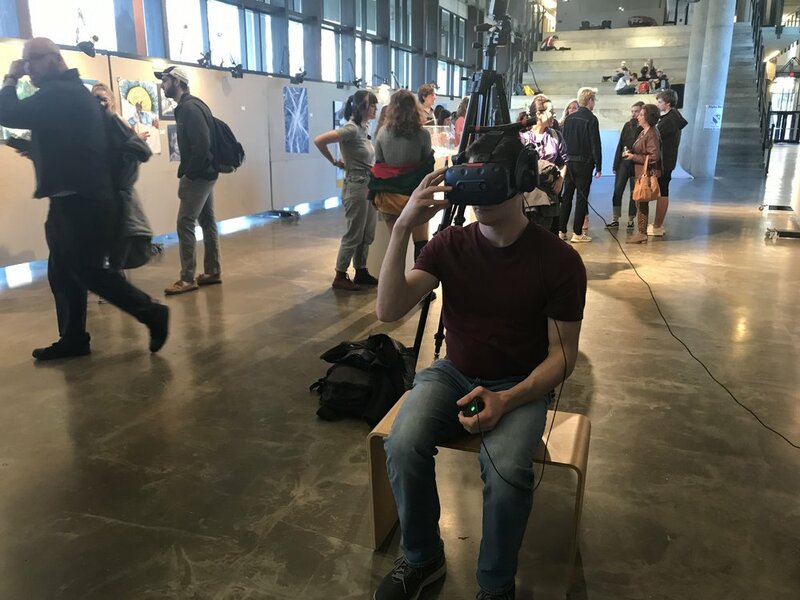 Earlier this month I was able to attend and compete in the Reality Virtually VR/AR Hackathon, hosted by MIT Media Lab. I registered, was accepted, and started connecting with other participants via a facebook page. Everybody was really friendly and excited about working with VR/AR technology! I saw people from all kinds of fields and backgrounds, from students to industry professionals. About two weeks before the Hackathon, everyone started posting their bios and work experience to see who was interested in working together or finding a team. I spoke to several participants, but one reached out and wanted me to join their team. All they knew was that they were interested in working with the recently released ARKit, and all of the team members were iOS developers. They needed someone from the 3D world. So I drove out to Boston for the Hackathon, and that first night we had a brainstorming session. Just throwing ideas around until it stuck. We decided to tackle the problem of Collaborative AR- something that had not been successful in ARKit before. But at the end of the two days, we had it! It was definitely more of a technical challenge than an artistic one, but I made the art assets we used to demonstrate its capabilities and tried to get the team to think on a design process as well as an engineering process. The video above was made during the competition to show our platform in action. I'll be creating a more comprehensive video in the next few weeks. "Team Two" ended up winning our category, Architecture, Engineering, and Construction, and Best Everyday AR Hack from Samsung! The overall experience was amazing. This group worked well together and was able to solve a problem that opens up a lot of opportunity for developers. I learned a lot from them- I had never worked with mobile development and had no idea what was involved with development for iOS. Or with AR for that matter. The workshops before the event was a great way to get into the headspace of VR/AR development and ask questions about various aspects of the industry. The Facebook group is still alive and I made a lot of connections from the event. I'm planning on attending again next year and maybe trying to go to the one at Penn State as well. While I was at the Hackathon, I was also working on a game level for my Computer Game 1 class. This was a team project centered around the theme of a broken bridge. Each of us had to create a level using different game mechanics to get around the bridge. Mine was to collect planks that had washed downriver and carry them back to the bridge in order to repair it. I found, especially during this project, that my scripting skills in C# are improving a lot and I'm starting to understand Unity a lot better. Of course, I still get a little overexcited when building scenes so... even though this was a prototyping assignment I got to play with all kinds of fun settings. Starting point for the level. Beginning of the level, when the player approaches the washed out bridge. Player carrying one of the planks back to the bridge for repairs. 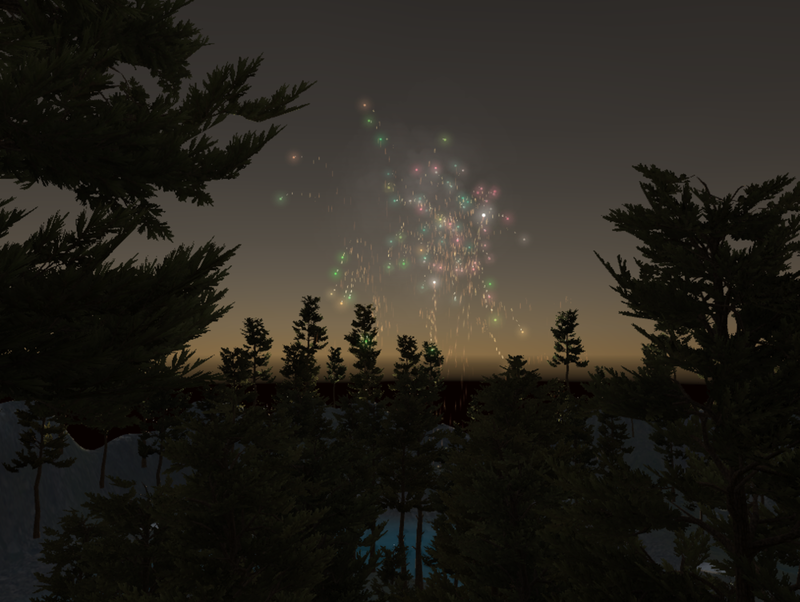 A fireworks celebration at the end of the level! Overview of the whole level and terrain. 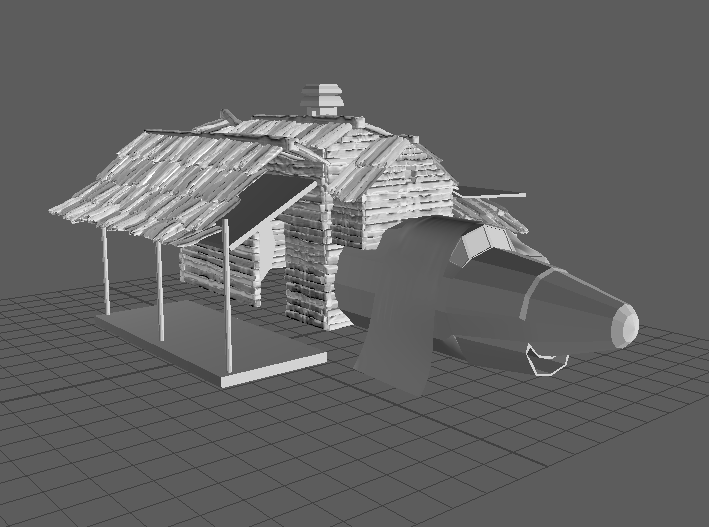 Screenshot taken from the Unity Editor viewport. The next couple of weeks are going to be intense. I have a VR prototype that I'm working on involving Hurricane Preparedness (more on that soon), and an AR MindMap project I'm working on to explore my own process a bit more. Next week I should have a computer game final project in the works as well- not too sure what that's going to look like just yet. There will be plenty of process work to post on here! It's been about 9 months since I last posted on here, but now that life is settled a bit I can explain what I've been up to and what's happening next! I graduated from CCAD in December and immediately began the process of applying to the Design MFA program at The Ohio State University. Between work, moving apartments, and seeing family, I decided to take a step back from animation and assess what my next move was going to be. I found out in March that I got accepted to OSU as part of the Digital Animation and Interactive Media track, and spent the summer working as a Residential and Teaching Assistant at CCAD as part of their College Preview Program. 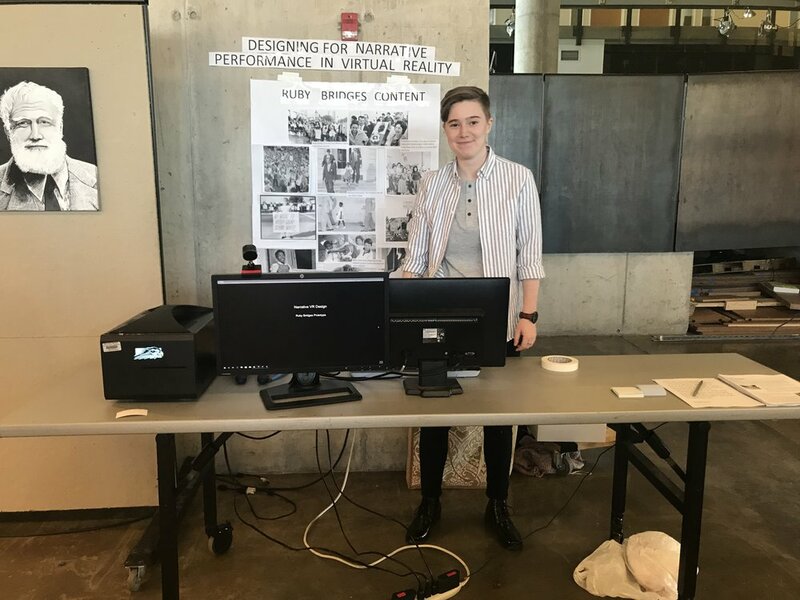 At OSU I also work as a Graduate Teaching Assistant for an undergraduate Design Foundations course- it's been fun working in a college classroom, and I've really enjoyed taking a step closer to education and the teaching process. I started the MFA program last month and hit the ground running. My current focus is in virtual and augmented reality research, and their potential applications to education and lifestyle. That's... quite a large topic, so I'm hoping to spend the next year experimenting and researching to narrow down my interests. 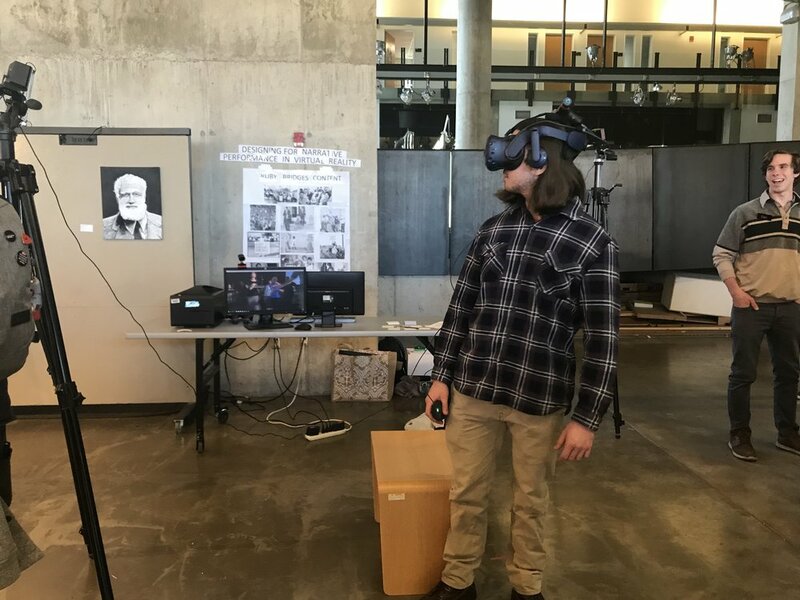 I've already been able to experiment with some new processes in class- we used the motion capture lab here at OSU to capture data for an animated music video. 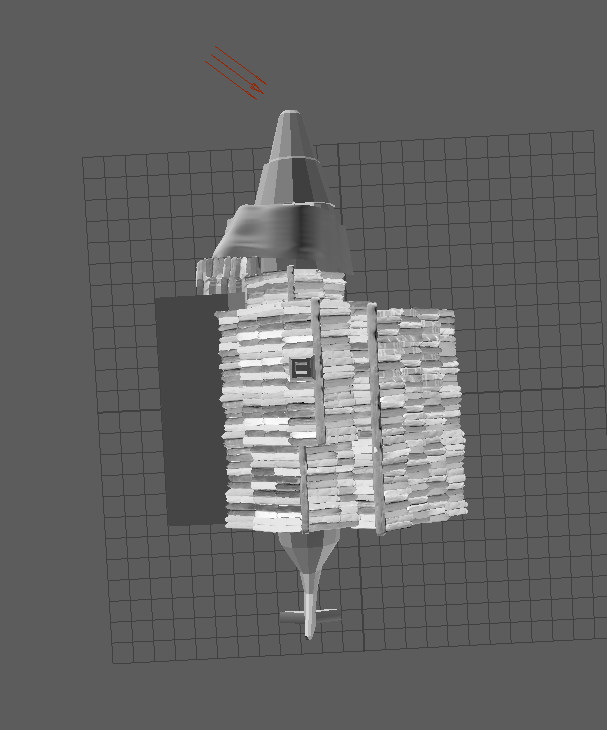 Myself and another teammate used a combination of particles, fluids, and furs in Maya and applied them to the figures. I have not worked with dynamics in awhile and never with motion capture, so this was a fun learning process. I'm posting the full project on my home page soon with the completed video. I'll begin posting more project progress on here again and writing a little more about what kinds of research I'm doing for the future. For now I'm just excited to get started! I went on a brief hiatus this past week because I flew to California to attend the CTN Expo! It was my first year attending the expo and my first time on the west coast, so even though I was still getting work done I stuck to Instagram and Facebook for my updates while traveling. I got to meet a bunch of fantastic artists and was lucky enough to get a few incredibly useful portfolio reviews. I saw the Pacific Ocean for the first time while waiting around the airport (got some fun sketches below), had some spare time to go see Griffith Observatory. And Thursday before the convention we visited Blizzard's Irvine campus! The best part for me was getting to be around a lot of people who clearly love what they do. I didn't take many pictures of the actual convention because as it turns out, I'm terrible at taking pictures of events I go to. But it was bigger than I anticipated and I managed to come home with some pretty great prints that I may be doing some practice environments with. 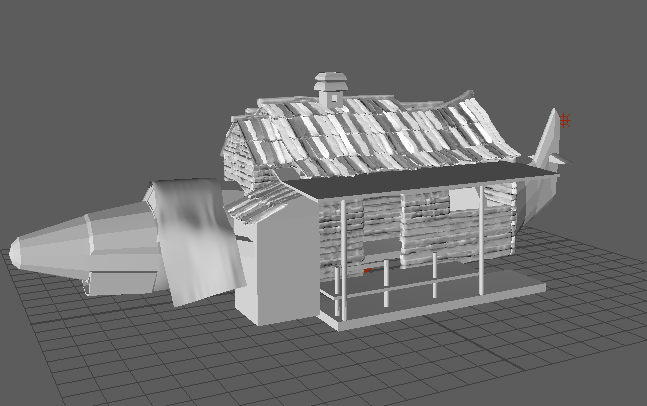 I won't be able to get into the labs to work on foliage until at least Monday night, so I'm also working on my cabin and getting all the details fixed up for that. Then I can start moving fully into Unreal and putting it all together. I'm excited for how it's coming along though, but deadlines are looming and I'm hoping to have some more filled out screenshots coming in the next few days. These updates are a little late- I was volunteering at GDEX this year, the Game Development Expo for the midwest. It's hosted in Columbus and I helped out as a presentation room attendant. Afterwards I got to walk around and see what other game developers are doing in the area, and was really surprised at the variety! CCAD also had a booth at GDEX and was showing Project Sphincter to everybody- I got to watch people play our game level, and actually really like it! That was pretty great, honestly. 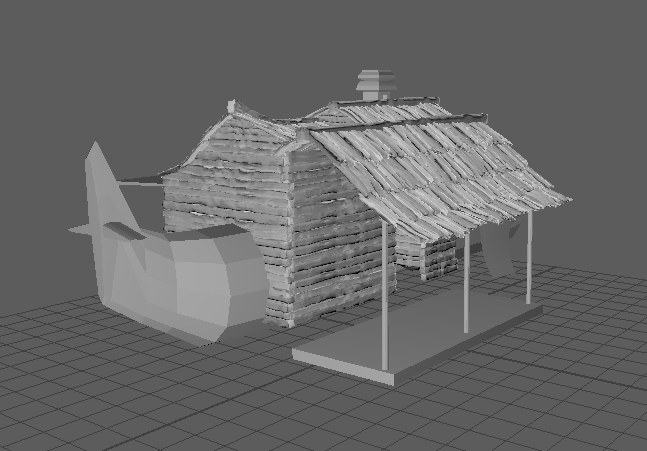 So this is a little late, but my next two milestones are to block in some rocks in the environment and model out the plane (minus the engine detail). I'd also like to go in and fix my landscape for the level. Those brushes I downloaded to do the planks also have some great landscape tools, and I'd like to get that going more realistically. If I've got some spare time in between all of that, I plan on doing some physics tests in Unreal just to see what I could do to get some water flowing in the level. Time for some good news: I finished my demo reel! It's now on the main page of my site as Environment Reel: Oct 2016. I got some good critique for it and rearranged a few things, and have submitted it for a few possible opportunities. Now it's the last day of my Fall Break (and likely the last day I'll have to do absolutely nothing for awhile). Yesterday I tried to step away from the computer for awhile and did some sketching. Not quite my Inktober schedule or prompts, but it was relaxing to just sit and draw what was around me for awhile. Sketches of Mr. Otis, the black lab that I was dogsitting this week! Unfortunately with my school schedule I've been totally wrapped up in making games but not so much in playing them. Today I dust off my PS3 and spend a few hours as a pirate in Assassin's Creed: Black Flag! In the past I've hosted my blog on Wordpress, but I've decided to move my posts here. My previous blog was sporadically updated and contains work from early on in my time at CCAD. I'll keep it up and you're more than welcome to visit it here, but from now on I'll be posting all updates on this page. Right now I'm heading into my last semester here at CCAD, and my focus has shifted a little bit. I'm gearing my art towards the role of Environment Artist and I'm working on building up my portfolio. Most of what I'll be posting will be updates from current projects including sketches, models, project planning, and progress videos. But I'll also be showing the development of my personal branding, personal projects and sketches, and research into other artists and studios. I'm working on some projects that I'm pretty excited about, and I'm looking forward to sharing the journey with you!